Home > News > Military & Aerospace > Chief of Defense Staff: An Elusive Concept? In reviving the proposal for a CDS, the RM did not make clear as to what sort of CDS arrangement he had in mind. Is it just a fourth, four-star General in the Chiefs of Staff Committee, who acts as Permanent Chairman of this Committee as against the present rotational system? According to Parrikar, Permanent Chairman Chiefs of Staff Committee, (PCCSC) would be expected to co-ordinate the functioning of three service chiefs and be the single point of advice to the government. In lighter vein one could point out to Parrikar that he already had a single point of advice in his Defense Secretary. After all, he is the one who is responsible for the defense of India! This deep-rooted suspicion, bordering on abhorrence of the military by these two (Nehru and Menon) blurred their vision of national security imperatives and the geo-strategic realities of the region. Nehru was living in a make-believe world. The only time Nehru faced real crises, an acid test of leadership, he simply collapsed. The Nehruvian legacy has persisted to this day, both in the political class and the bureaucracy. Though now and then attempts have been made to pull the CDS concept out of cold storage but what has come out of these exposures is merely side tracking the central issue of the CDS system. There have been half baked attempts to resolve the national security paradigm but in reality been a parablepsis of a solution to the emerging security demands. Nehru, on his part, learnt his lesson as the Chinese left him a shattered man. We, on the other hand, have learnt nothing from the humiliating defeat at the hands of the Chinese in 1962, where, for no explicable reason, the Indian Air Force (IAF) had opted to stay out of the war, when China had limited air capability ex Tibet. 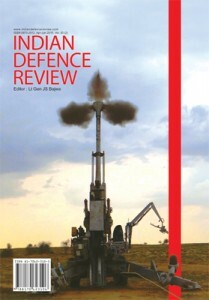 There was no central authority in India that could fashion together India’s full combat capabilities. Consequent to the Rann of Kutch incident, the Indian Army (IA) was mobilised in May-June 1965. When the war started in September of that year, the Indian Navy’s (IN) only aircraft carrier was in the dry docks, undergoing repairs while the IAF made it known that IA need expect little help from the IAF during the first week or so of the war, as it would be fully committed to winning the air battle. When the IAF did come to the Army’s aid in the Akhnoor sector, it struck down own troops. The then Chief of the Air Staff claimed that the IA did not inform him of its offensive in the Punjab sector. Such was the level of co-operation or mutual understanding between the IAF and the IA during this War! In 1971, from the morning of December 01, the Indian Army was placed on highest state of alert on the Western front. However, on December 03, when the PAF struck at the forward IAF bases including Agra, it met with no challenge. All the PAF planes returned home safely. In Kargil, the IAF took over a week to decide to join the war along with the IA, with much acrimony within the Chiefs of Staff Committee. The use of Stinger missiles by Pakistani troops in Kargil forced the IAF aircraft to operate at heights of around 45,000 feet – at which they had not trained for in the use of aircraft weapons though the IAF had been deployed in the high mountains for decades. It also came to light that IAF did not have a suitable aircraft to provide close support to the Army. With this as the background experience, some still continue to claim that the existing system has worked well for us! Even with these sad experiences of discord between the services, leave alone any synergising of combat capabilities, we remain oblivious to the compelling need of meshing together the fighting potential of various components of our armed forces under a single Commander, in line with the essential Principle of War called ‘Unity of Command’. How the Permanent Chairman Chiefs of Staff Committee will deliver on imperatives of integrating various components of the three of two services, as applicable and weld together, synergise and optimise their individual potential into one whole, in a theatre of operation, to maximise the chances of a positive outcome in the battle is anybody’s guess. Such an ethereal and unstructured arrangement working against turf battles with no play in theatres of operations is up for speculation. Obviously, under such an arrangement, there would be little or no change to the existing arrangement at the operational end i.e. in various commands. Our long experience is that the three services have often (more so, the Army and Air Force) been working at cross purposes in matters of Integration and Unity of Command. This is something which is inbuilt into the existing arrangement and will remain so unless the RM plans to pitch for a complete switch over to the CDS system per se, under which various components from two or all the three services, are fully integrated in a theatre and function under a single Commander, in line with the principle of Unity of Command. Over the years, there has been much opposition from various quarters against the adoption of the CDS system as such – often frightening the political executive with the mirage of a military take-over of the country. Both Prime Ministers Vajpayee and Manmohan Singh often expressed the view that India’s security parameters run from Suez to South China Sea. However one defense secretary, who was known to be brighter of the lot, espoused the view that Chairman of the Joint Chiefs of Staff or CDS was needed by only those countries which have global interests, whereas Indian military’s role is to defend country’s borders and shores. So much for our defense secretaries! A Defense Secretary, who was known to be brighter of the lot, espoused the view that the Chairman of the Joint Chiefs of Staff or CDS was needed by only those countries which have global interests, whereas Indian military’s role is to defend country’s borders and shores. So much for the wisdom of our Defense Secretaries! However, the Kargil War did shake us out of this world of make-believe. The government formed Kargil Review Committee headed by K. Subrahmanyam. This committee was tasked to look into the issue of national security. This Committee pitched for the post of a CDS, integrating the three services with the Ministry of Defense and making the three Service Chiefs part of the government and not mere commanders of the service to which they belong. These recommendations were taken up and fully endorsed by the Group of Ministers, headed by Shri L.K Advani. The proposal for a CDS was dropped by the PM due to strong opposition from the IAF. Surely, the IAF cannot hold national security to ransom! The second committee that took up these issues was the Arun Singh Committee. From the presentation made to this Committee on the ‘future shape of the army,’ two points needs restating. One was the raising of a Mountain Corps for the Himalayan border and the second, the adoption of the CDS system in its full spectrum. The Arun Singh Committee included both these recommendations in its report. Also projected in this presentation was the proposal to have three ‘theatre commands’ one for Andaman and Nicobar Islands and the second, Jammu and Kashmir area and the third – a Strategic Air Command (with nuclear command as its adjunct). To allay the IAF’s apprehensions of being overwhelmed by the numerically superior Indian Army, it was recommended that the first Commander of Jammu and Kashmir theatre be from the Air Force. Earlier, after the 1971 War, Indira Gandhi wanted to adopt the CDS system and appoint Sam Manekshaw as the CDS. There were serious objections from the then Chief of the Air Staff and the Defense Secretary B.K Lal and the proposal was dropped. Unfortunately, the core and kernel of the CDS system, in its full spectrum, has been escaping the IAF and some of the India’s defense fraternity. Whenever a compelling proposal comes up, the method adopted by the bureaucracy is to seek the appointment of yet another committee or a task force. Keeping in line with this ploy the Naresh Chandra task force was formed. It observed that CDS in its full play would not pass muster and instead post of a Permanent Chairman Chiefs of Staff Committee be created with two years fixed tenure who would then be single point of advice to the government as also promote inter-service co-operation and co-ordination. This recommendation overlooked the most essential, perhaps inescapable requirement of theatre commands and malady of turf battles. Thus, the CDS system as such stood sabotaged. Under the CDS system, the single point of advice to the government is just one part. The more important is the integration and synergising of various components of the three services, as applicable, into ‘Integrated Theatre Commands’ under a single Commander for maximising their fighting potential. That is what the CDS system in its full play implies. It may well be to remember that ‘Unity of Command’ is an important Principle of War. Under the CDS system, responsibility of the three Service Chiefs spans only staff functions while the conduct of operations devolves on the theatre commanders. The overall strategy and control of operations would rest with the CDS within the framework of national policy. The CDS is required to be well read, firmly believe in ‘jointmanship’ and understand the sensitivities of the other two services with previous exposure to foreign defense forces. The CDS should have quality of mind, breath of vision, be technology savvy and have the ability to interact with political executives at the appropriate level. 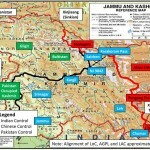 At the same time the political executive must have adequate grasp of national security, in broader terms, encompassing geo-political and geo-strategic realities of the region, have understanding of India’s military history, the fundamentals of military power, its symbiotic relationship with economic, cultural, technological and foreign policy imperatives. During the wars India has fought since Independence, the full potential of various components of the three services could not be brought into play in an integrated form. The three services have often worked at cross purposes. Partly due to lack of integration and ‘jointmanship’, defense services in India have never been able to deliver their full worth. The next war, as and when it is thrust upon this country, will outstrip, both in scale and intensity, all our past experiences and if the existing systems continue to prevail, we better be prepared for the worst. The CDS system would also be able to evolve a mechanism to acquire the right weapons and equipment for integrated and complementary deployment and performance of all the three services. Given the Indian setting of turf wars, the induced fear of military take-over and bureaucratic machinations, the adoption of the CDS system will continue to delude us. In the event of a full scale war, India may, therefore, pay a heavy price for failure to fully integrate her forces and bring about ‘Unity of Command’ in the concerned theatre. Thank you for such a detailed analysis. I hope the issue will be solved sooner as the defence minister has also agreed to the idea. The question is that by creating a new post will it solve all the problems and operating efficiency of the Armed forces. Delay in getting Air support to the army. Delay in getting approval to start a new war front in another sector to minimize enemy pressure in other sector. 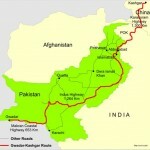 In 1965 and 1971 wars Pakistan captured our territory in Chamb sector. In a democratic country only PM and MOD are the competent authority to take a decision to start a war or another war front. This authority cannot be given to any other post. Delay in getting vital equipments and spares to the army. Delay in getting air support can be easily solved by allotting a few squadrons of Tejas fighter planes to army. IAF is not satisfied with Tejas. Our Air force officers have a fetish for foreign equipments. Making India will minimize the delay in procurement. CDS should be a person acceptable to three service chiefs. Departmental feeling is too much in the three services. They won’t see each other. They consider their departmental survival is more than countries survival. First we have to stop this feeling. 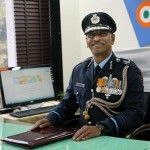 Officers from army, Major general onwards, Navy, real admiral onwards and Air force , Air vice marshal onwards should serve in three services for three years to get the post of CDS. After three years a new person should be appointed. In Rlys no offcer can become a GM without serving as DRM. No officer can become a member without serving as GM.